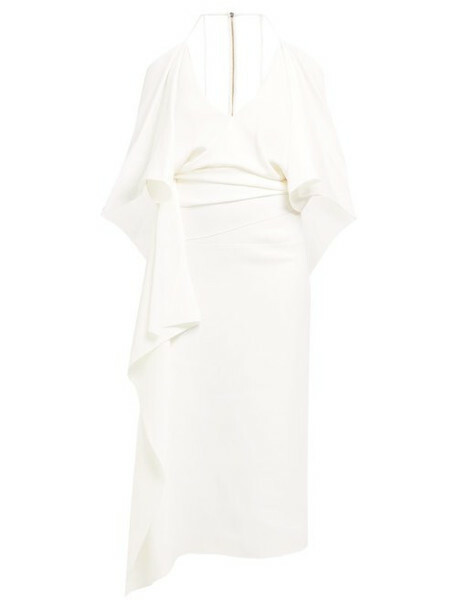 Roland Mouret - Roland Mouret's penchant for figure-flattering silhouettes is redefined with a modern interpretation for SS19, such as this ivory crepe Vincent dress. The low-cut V-neck style is shaped with draped panels across the shoulders and echoed through the faux-wrap waistband which falls to an asymmetric hem. Style it with a clutch and stiletto sandals for a summer wedding.